Discard an Energy from Alpha Arceus and the Defending Pokémon. Choose an Basic Energy card attached to Alpha Arceus. 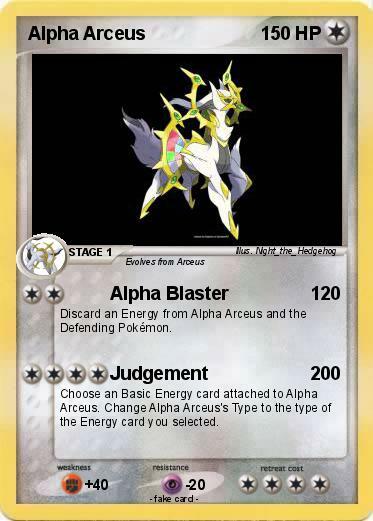 Change Alpha Arceus's Type to the type of the Energy card you selected.